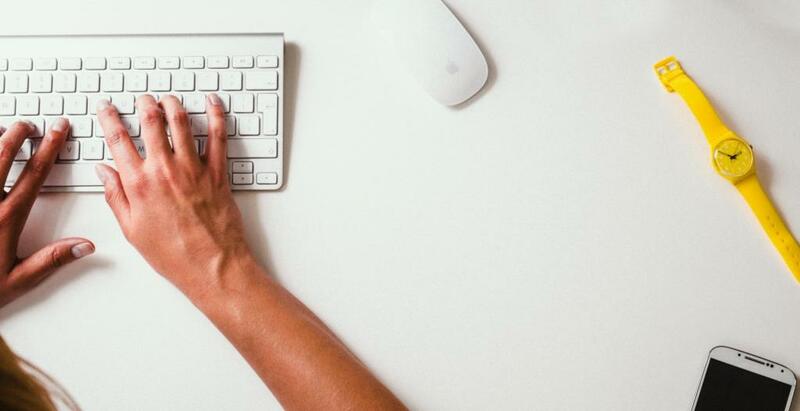 Each time you write an Upwork cover letter, you have to convince an employer to choose you above the 20 to 100 other people that applied for the same position. This letter is your opportunity to make an impression on the client and show why choosing anybody else will be a poor decision. For a while, I struggled with cover letters and often had to apply for many jobs before I got into an interview. But then I found a simple template that works. Please note that by template, I do not mean canned letters. In fact, I strongly discourage sending the same letter for multiple jobs, and I would not take a second look at a freelancer’s application if the cover letter was copied and pasted. But you can follow a simple template to create unique cover letters that employers can’t resist. We will examine the template in a minute, but first, let us look at some Upwork cover letter best practices. Your greeting should be professional, and should reflect your confidence. Avoid greetings like “Howdy Bradley”, or “Hey there Jennifer” as they make you sound incapable and unprofessional. A simple “Hello Mr. Bradley” or “Dear Mrs. Jennifer” would work fine. To reflect more confidence, ask about the person’s welfare. For example you can use “Hello Mr. Bradley, how are you today?” I prefer this confident approach as it is one sure way to stand out from the crowd with your first words. I know how it is when freelancers see a job that was posted a few minutes ago. Every freelancer wants his application to go in early so it appears at the top, and the tendency is to skim through the job post and jump to applying. But the result of this is often an application that will be rejected. The Truth is you cannot write a winning cover letter if you do not even understand what the client wants, so take time to read the job post before applying. Did the employer ask you to include a certain word or phrase in your application, then by all means include it. Employers usually weed out freelancers who ignore simple directions. Once again, don’t be in so much of a rush. I remember one time I had to delete an application for a position I really wanted because my cover letter contained serious typos. After writing your cover letter, take some time to go over it to ensure there are no errors. And if you find sentences that you can make better, or phrases you can add to strengthen your letter, make these changes. Only click send after proofreading thoroughly. Google the business to find points you can use to strengthen your letter. Don’t spend too much time on this though. Content: A nice, confident greeting and a mention of your interest in the position. Hello Bradley, How are you today? I would love the opportunity to discuss this position with you. I read through your job post and can see you need a customer service representative who is skilled in WordPress and Joomla development, and who has some previous experience in creating support documentation. I can also see you plan to implement an online knowledgebase. Content: If the client has mentioned an issue they are trying to resolve, try to offer a solution. Even when no issue is mentioned, you can research the client and find out if there is something they can do better and tell them how. About the knowledgebase you plan to create, I would suggest that we use the WP Knowledgebase plug-in to achieve this. This way, we would only need to copy the text and pictures from your current PDF guides into a section of your WordPress blog, and the knowledgebase will be available to your users within a week. Content: Highlight your skills and experience and match them to the paraphrase above. I have over 3 years experience in customer service, most of which involved technical support for software clients while I worked with software_company_x. In that position, I was also responsible for creating user guides and testing and documenting new and upgraded features. On the side, I have also been developing WordPress and Joomla websites, with over 10 of them in my portfolio, most of which required theme and plug-in customizations. Here are a few samples of sites I’ve created. Link1, Link2. Content: Intelligent questions about the job post. Don’t include this section unless you really have good questions to ask. 1. 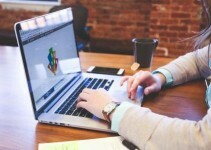 Is your customer support platform integrated with your Website? 2. Do you use a remote desktop control system, or a conference and screen sharing application for remote support? Content: Suggest a video or voice call. Explain your availability. I suggest we go over these details via a video or voice call, and I am available through Skype or hangout. Please fix a time that works for you and apprise me of it. I am currently available for 20 hours each week and would be happy to dedicate this time to your company. Content: One short paragraph that shows you are optimistic about the position, and then your final greetings. Thanks for your time. I look forward to a chance to work with you. And that’s it. Go ahead and adjust this format to suit any job application you are creating. I am positive you will find more success with your applications when you do. Thanks Khaled. Glad you found the post useful. Thanks for such a great information, I am also a freelancer and have few questions. I mostly applied for Web development and Mobile app development jobs and there is too much competition. I want to make a custom cover letter , but also want my profile to be in top 5. because my id is not top rated yet and it will be difficult to come in lime light if i go with a complete custom cover letter, I always try to write 2-3 lines about the client’s job and after that same generic cover letter. I want to know is it right or i should go with complete custom cover letter for more work. I quite understand you. However, getting the client to see your post is just one step of the process, and a small one. The most important thing is convincing the client to hire you, and you can hardly do that with a generic cover letter. Keep in mind that these clients are trying to find the “right” person for the job, and most are willing to review all the profiles that applied for the job. So a killer cover letter, even in the 30th position gives you more chance than an unconvincing letter in the 1st spot. If you need more help with this, please get in touch with the ask a freelancer feature. Very good post. I must admit I have been guilty of rushing through writing cover letters in the attempt to be “first in line” and I am sure that has cost me some gigs. I’ll be implementing your suggestions right away. Glad you found the piece helpful, and I know your results will improve if you take your time to write your covers. It was really helpful, though I adhere all rules I m not getting any job. I think it has become difficult to sustain for the beginners. No clients even look at my profile. I don’t know what to do. Hello there, I am new to upwork and i find this information quite helpful. I plan to implement this guideline right away. Once again, thanx. You can never know how much i needed someone to guide me into writing a good cover letter. How does an up-work letter template look like? I missed some great work, simply because i was unable to meet her requirements, though my written work was okay. Hi Waichoka – the documents you sent are not the template and are completely different in all aspects. 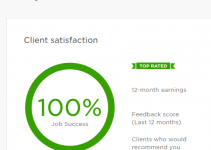 really helpful content for upwork users. Thanks, Author.